The latest installment of the famous Japanese-made football video game, Pro Evolution Soccer, is to be released by it's maker, Konami, on November 11th of 2014. The game's limited demo version has been available for download on the new generation systems, PS4 and Xbox One, for couple of weeks now. 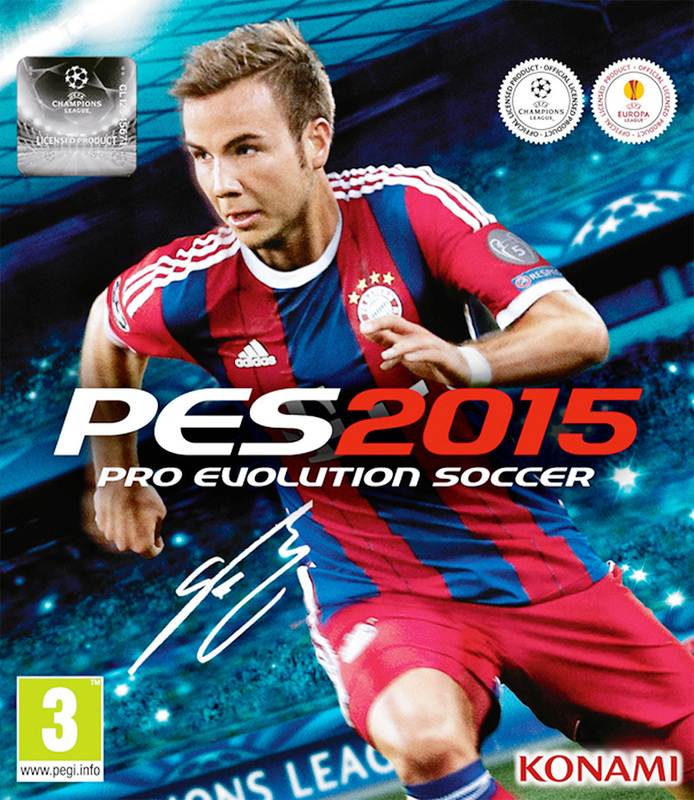 This year's PES cover features the German International and Bayern Munich star, Mario Gotze. There is a lot of excitement about the release of PES 2015, as last year's version was not available for the new generation systems. Pro Evolution Soccer used to be the King of video game football until couple of year's ago, when EA Sports' title, FIFA, caught up and surpassed it in terms of graphics, gameplay and user base. Understandably, the game on Playstation 4 looks and feels a thousand times better than the last year's edition did on PS3. The developers had a full year to prepare the game for the new systems, as well as now two full years to adjust it to the new graphics engine, FOX, which is also used on games like Metal Gear Solid 5: The Phantom Pain and the new Silent Hill. In comparison to last year's version, PES 2015 demo feels more animated, dynamic and free. For example, the players are no longer railroaded into moving in one direction, there are no funny body-to-body bounces and the game generally plays a lot more smoothly. As far as licensing goes, PES 2015 still maintains it's right to use UEFA Champions League teams and the tournament format, while the English Premier League and the German Bundesliga official team names remain inaccurate for trademark reasons. The biggest improvement from last year's version are the graphics. The players look more realistic in general, and over a thousand of them are faithfully recreated in 3D. The goalkeeper positioning, reactions and movement have undergone very positive changes, while goal celebrations are detailed to the point that at times you get the feeling that you are watching a real match. The PES 2015 has made a quantum leap forward in comparison to the previous version and it will be very interesting to see what the sales are like compared to FIFA 15 once the game is released. Looking forward to playing the full version very much!